THAT FOLLOW ALL CURRENT TRENDS AND METHODS OF LANGUAGE INSTRUCTION. 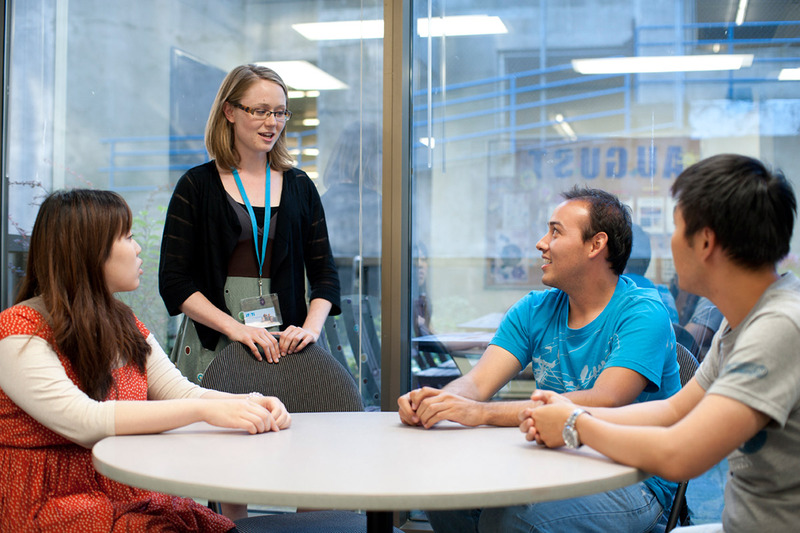 The instructors are experienced in recognizing the individual learning styles and cultural differences of our students and we offer a wide range of programs with regular enrolment dates. General English, Exam Preparation, University/College Access,Business English and custom made specialized fluency instruction provide both short and long-term study options. Our General English program is designed to help you improve your overall ability in English in all of the main skill areas. In the morning you study integrated skills such as speaking, listening, reading and writing in an environment focused on communication. Whether you are a beginner or an advanced user of English, our curriculum is designed to get you talking and using real, natural English. Pronunciation and correction of errors are key components of every course. TRUE FLUENCY-WHICH IS THE ABILITY TO COMMUNICATE LIKE A NATIVE SPEAKER. This dynamic course is ideal for students who need English to succeed in International business. Through materials used for the preparation of the Cambridge BEC vantage (Business English Certificate ) examination, you will learn real life business English skills ranging from taking telephone messages to writing reports. An instructor with real business experience and real life business field trips make this an exciting and valuable course. 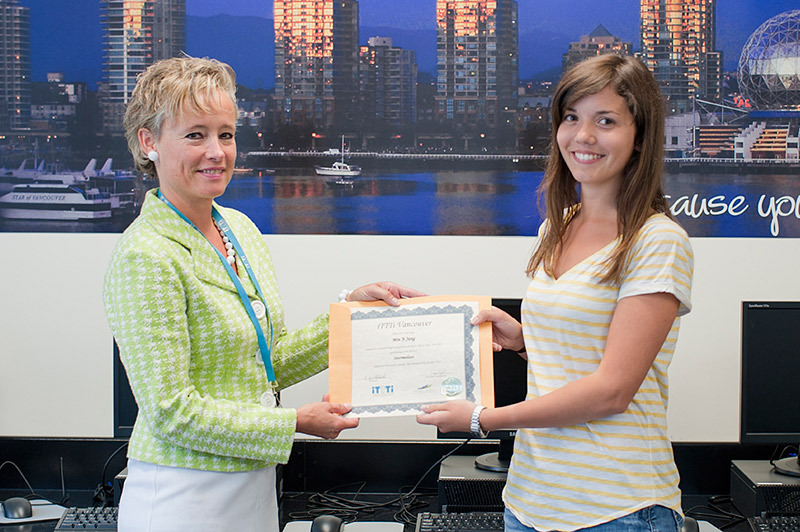 At iTTTi Vancouver a variety of English language examination preparation courses are possible as afternoon electives as part of an intensive program. You may choose to combine with a General English integrated skills course, one of our oral communication flency courses or even with English for Inter- national Business. Studying in conjunction with the skills you are learning in your morning class allows you to concentrate on improving your all-round English ability at the right level in the morning and focus on the strategies and key techniques necessary to pass your exam in the afternoons. Teen Project Learning is an integrated skills project-based course designed to build interpersonal communication skills through teamwork and multimedia interaction, with teen-centered materials. 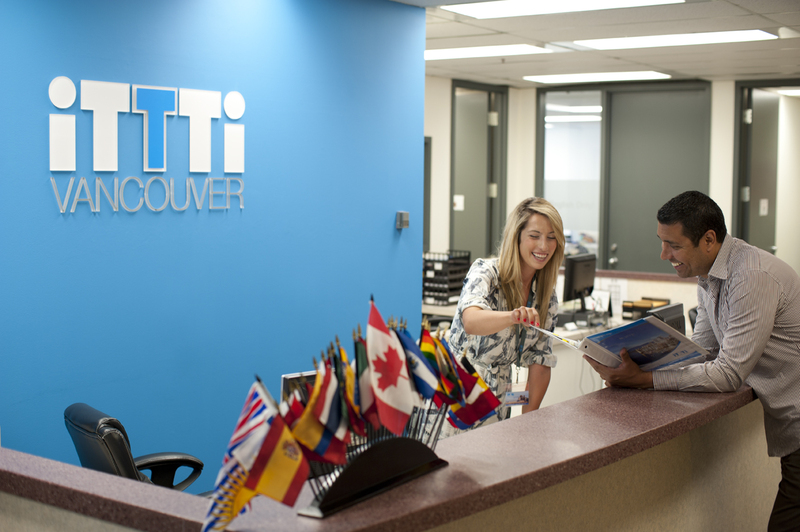 Students hoping to further their studies in a Canadian academic setting such as a University, College or Trade School can study in a variety of iTTTi Vancouver programs to achieve the level required to meet their higher education goals.